This proper vegan protein makes for a delicious shake that’s completely free from soy. It’s ideal for your fitness goals, no matter what level you are — with 22g of plant-based protein per serving, you can trust it will sort you out after a fat-burning workout. This is convenient, high-quality protein sourced from peas — providing you with all the essential amino acids, and helping you to stay on track with becoming a leaner, healthier and happier you. Nutritionals based on chocolate version. 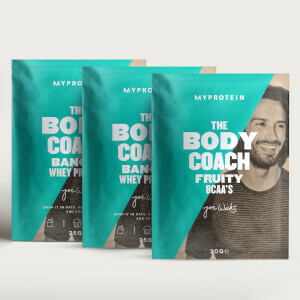 When to take The Body Coach Proper Vegan Protein? It’s super-simple to get a shake ready— just add ¾ of a large scoop (30g) to 250ml water or a milk alternative 30 minutes before or after a workout. Bosh. 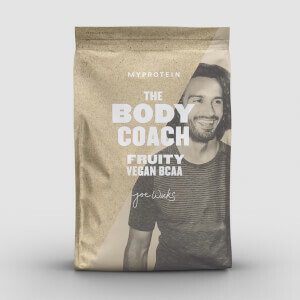 What works well with The Body Coach Proper Vegan Protein? Tumeric Latte Flavour: Protein blend (91%) (Pea Protein Isolate, Fava Bean Isolate), Flavourings, Natural Flavouring, Sweetener (Steviol Glycosides), Organic Tumeric Powder, Ground Cinnamon. Chocolate Flavour: Protein blend (91%) (Pea Protein Isolate, Fava Bean Isolate), Flavourings, Natural Flavouring, Cocoa Powder, Sweetener (Steviol Glycosides). 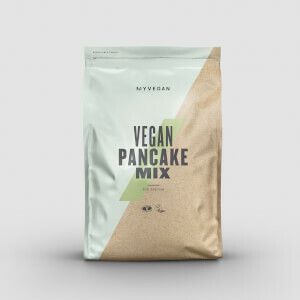 Ready-to-mix vegan protein powder blend made with pea protein and fava bean isolate. Tumeric latte flavour with sweetener. Mixes well in almond milk and water, both using a nutribullet. The key to mixability is to pour the powder after the water (i.e. In to it). I opted for the turmeric latte flavour as I hail from an Indian background so find the taste of turmeric quite palatable due to my exposure to it throughout my life. I actually find this protein powder more tolerable, in terms of taste, compared to other non-vegan ones I have tried in the past (usually vanilla or chocolate flavours). It does not taste too artificial or synthetic. Going forwards, I think I am going to stick with this. If you like, or are indifferent to, the taste of turmeric, then this may not be a bad shout for you. Taste is very earthy, I feel like I might be drinking mud and the mixability is terrible, does not mix in my nutribullet well at all, most of it just clumps together at bottom. Would not buy again and do not recommend. Im not able to eat diary, so I’ve tried quite a few vegan protein powders. 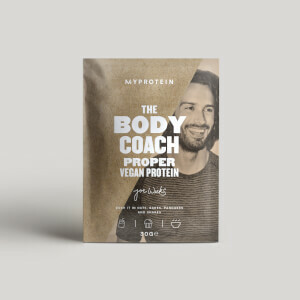 The body coach vegan powder seemed reasonably priced, and quite a good amount of protein per 30g compared to other brands so I bought a sachet of the chocolate flavour. It blends really well, but I’ll be honest it’s tastes awful. It has a really powdery texture, and has this awful artificial sweet taste which is hard to stomach. Definitely wouldn’t recommend! I've been trying to find a decent vegan protein powder for a while now as I'm trying to cut down my dairy intake. As far as the nutritional info goes, this is definitely the best performing protein powder I've found! It's low calorie and high in protein which is perfect for me, and the amino acids are an added bonus. I've tried both the chocolate and the turmeric latte, and both mix OK with water, although there seems to be a lot of unmixed powder left at the bottom of my shaker so it would probably work better with a blender. Taste wise - the chocolate is far better than the turmeric latte. The turmeric latte just tastes odd, I can't quite think of any other way to describe it! I thought it might have a hint of coffee, but unfortunately not. You do get an aftertaste of the pea protein in both flavours, but I've yet to find a vegan protein powder which doesn't slightly taste of peas, but its not so overpowering as it is in others. It actually works quite well with the chocolate flavour as it sort of tastes nutty. All in all, its decent, but still not as good as whey protein.